State of Play. 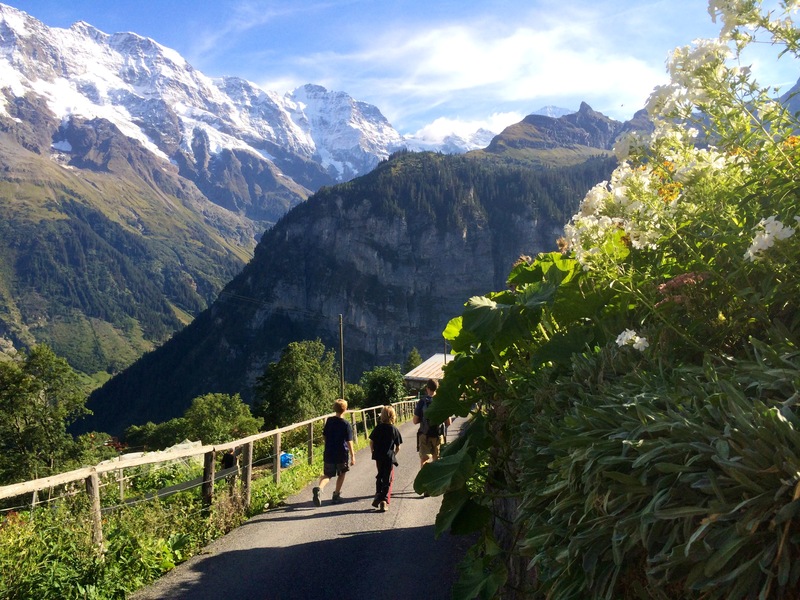 Switzerland is the happiest country on earth. Is it the chocolate? The fondue? 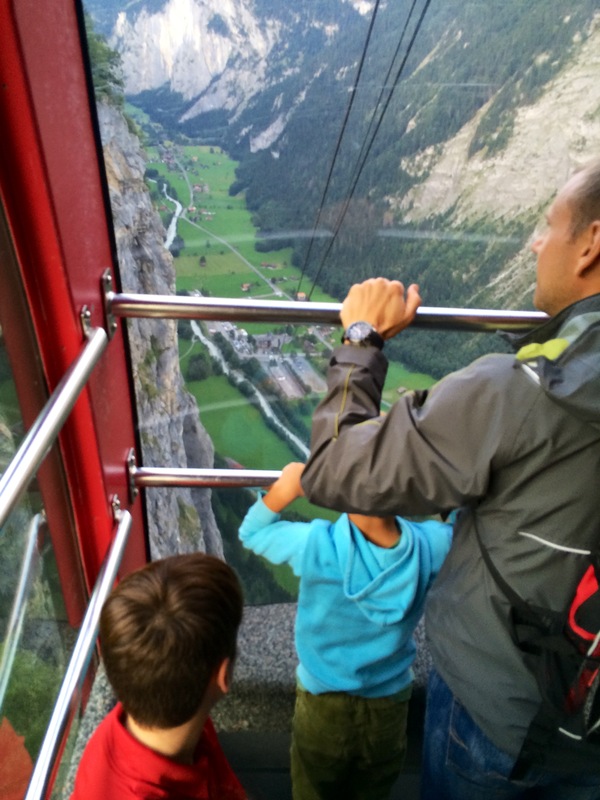 These things help, for sure, but I think the key is the Swiss emphasis on Enjoyment and Fun. While the casual observer* doesn’t necessarily glean this from overt smiling, laughing or immediate warmth emanating from the Swiss, indicators abound if you look for them. Despite many “mini-cultures” within the country, there do seem to be some cross-cutting values that persist across cultural, linguistic and geographic lines, and one that I’ve noticed is this emphasis on Enjoying Life. A metaphor I keep coming back to is a uniquely Swiss expression for “does that work?” (“ça joue?”) and “that works” (“ça joue”). Literally, this translates as “does it play?”/”it plays,” and I am intrigued and amused that Work becomes Play in translation. They actually say this constantly throughout the day: the butcher cuts a piece of meat for me and asks, “ça joue?”… the vegetable seller at the farmers’ market asks if “ça joue” to add my eggplant to my green bean bag… our landlord tells us “ça joue” to meet at a certain time (these examples should give you an idea of my social life!). In my limited experience here, I can’t yet speak to the work ethic of the Swiss, but given the high standard of living and international economic standing, I’m going on the assumption that they are doing something right in the realm of economic productivity. What I can speak better to is the emphasis on leisure time and having fun. The Swiss take breaks. No eating lunch at your desk – horrors! And the kids come home from school for two whole hours at lunch. While this sometimes seems like a “waste of time” to me, I am coming around to the idea that it’s actually a lovely respite for them and a chance for me to connect with them at a more leisurely pace. They also have a half day EVERY Wednesday. So in effect, they have 28 hours of school a week, compared to about 35 a week in the U.S. They also seem to have less homework here, yet they have more art and more physical education. 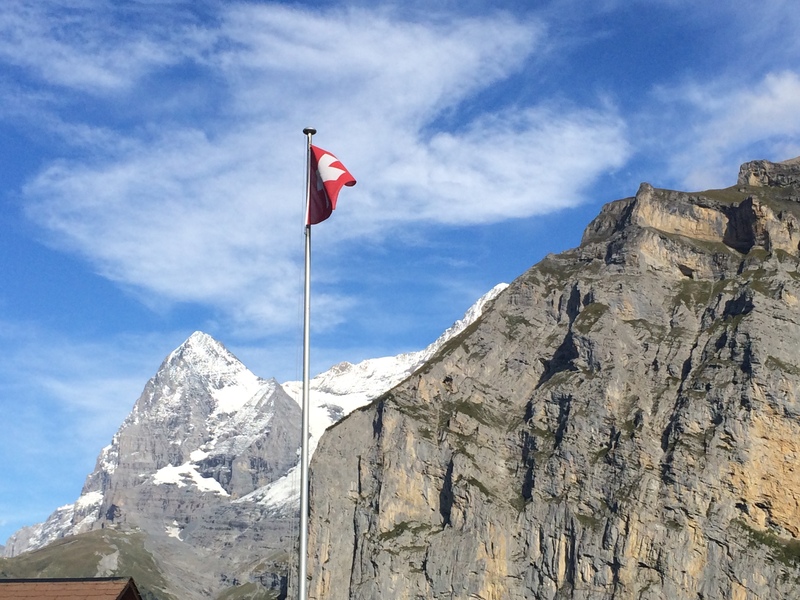 The proof is in the pudding: Switzerland ranks #8 in education, while the U.S. ranks #28. Speaking of physical education, I have been astounded by the emphasis on physical activity here. It is just part of life, and the government makes it easy, fun and affordable. At school, the boys have P.E. for two hours a week. But on top of that (NOT instead of), they have a morning of swimming once every three weeks and a “sports afternoon” once a month. Fritz had his first sports afternoon yesterday – they broke into groups of three and ran all over town on a scavenger hunt (believe me, with the hills in this city, they got a ton of exercise doing this! )… SO fun! 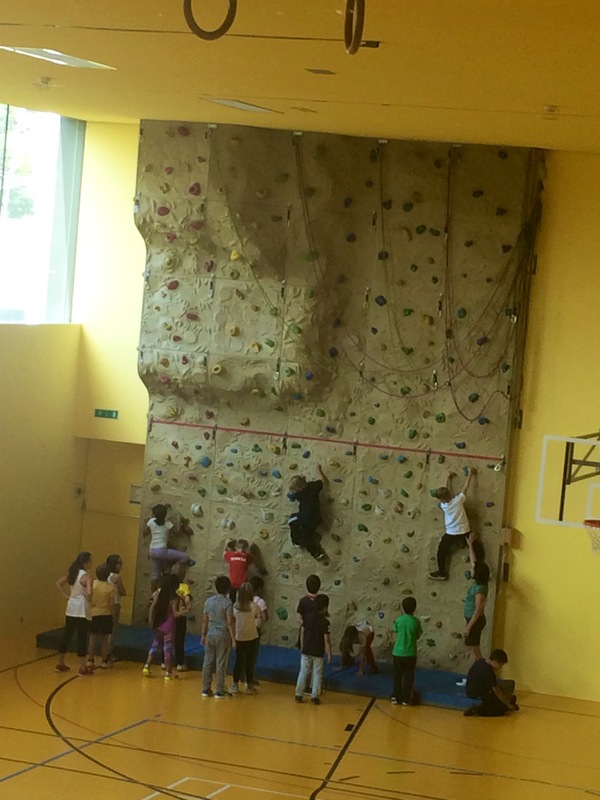 All kids can sign up for a (free) once-a-week after-school sport through the school system, so Ernst is taking rock climbing, and Fritz will play basketball. This is all in addition to them playing soccer with a proper “football club”… for free. [btw, I realize this isn’t literally “for free” per se, as there are high taxes here… but what services!!!]. The national pastimes here are hiking and skiing. We have taken advantage of our weekends and gone on some beautiful hikes, and we perused the new “winter issue” of the Swiss tourism brochure with much excitement. 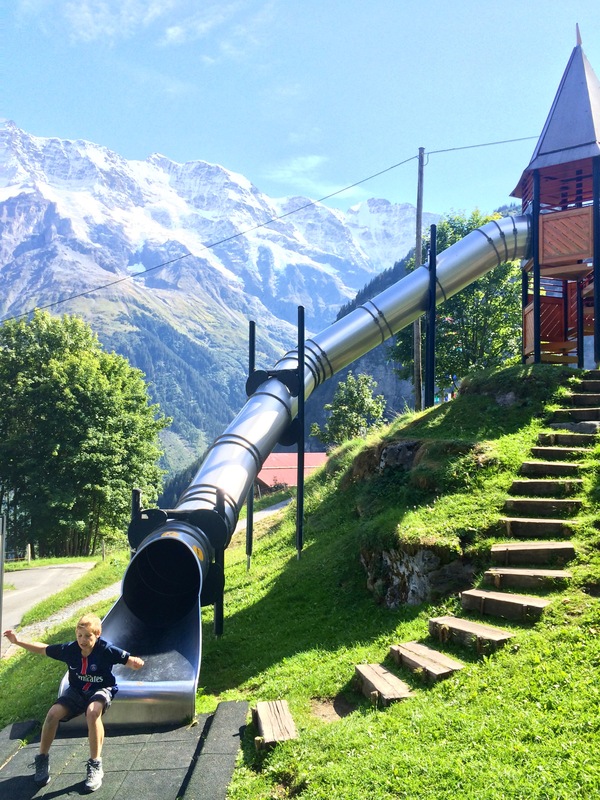 The lengths to which the Swiss have gone to add fun for all ages are impressive. Cool playgrounds perch on mountaintops at the start and termini of hiking trails. Chairlifts and cable cars carry adventure-seekers up to stunning peaks, along with their own or rented paragliders, bikes, and big-wheeled scooters. Summer and winter toboggan runs are common and affordable. 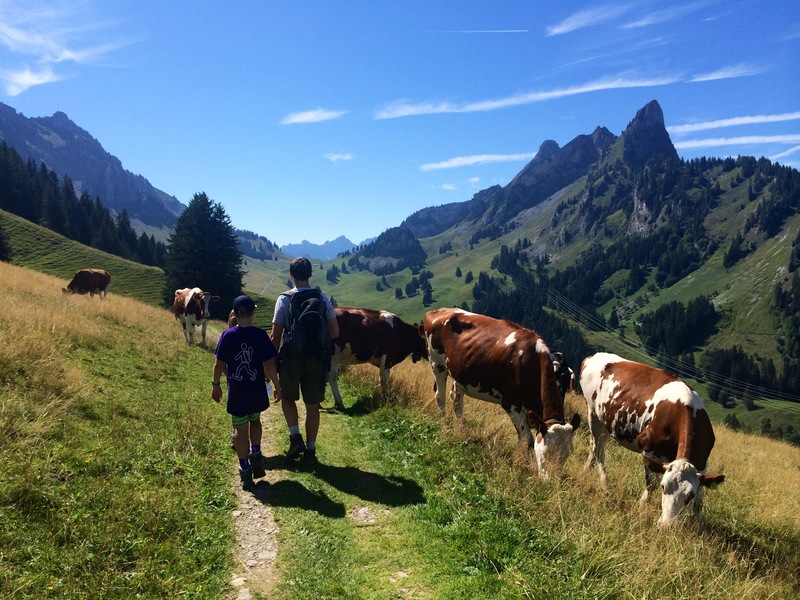 Many hiking trails are themed just for kids, and it’s not uncommon to see families pushing strollers – even on fairly strenuous paths. Any day of the week, I see people of all ages using walking poles to hike around town or boarding a train with their poles collapsed in their backpacks ready to take on an active pursuit in the great outdoors. A case in point: Bern’s most famous residents, the bears Finn, Björk and Ursina, have been away while their usual digs get a facelift. But instead of disappointing visitors, Bern is allowing them to scramble all around inside the bear pit for themselves – fun and unusual! (Fritz and Ernst really enjoyed this!) Other summer goodies: “cowbell golf” (what?? 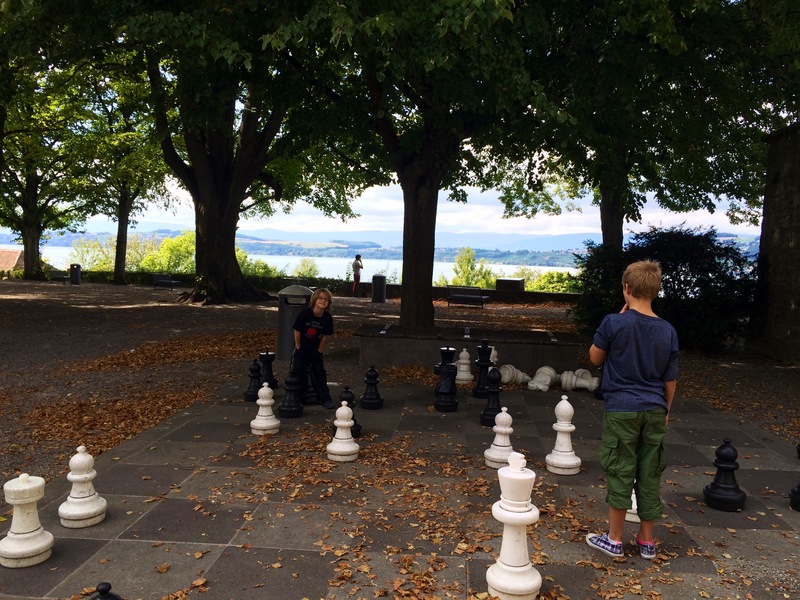 ), “urban golf” right here in Fribourg, giant chess boards in countless public parks, and some of the most fun I’ve ever had for free: jumping in the Aare River in Bern and floating (at a very fast clip!) downriver. Winter apparently offers opportunities to climb in and around ice castles, go nighttime tobogganing, ice skate on a pathway through the forest, not to mention the obvious abundant skiing thrills. It seems to me that the Swiss have found the key: exploiting every possible way to add fun to activity to become part of their heavenly geography. 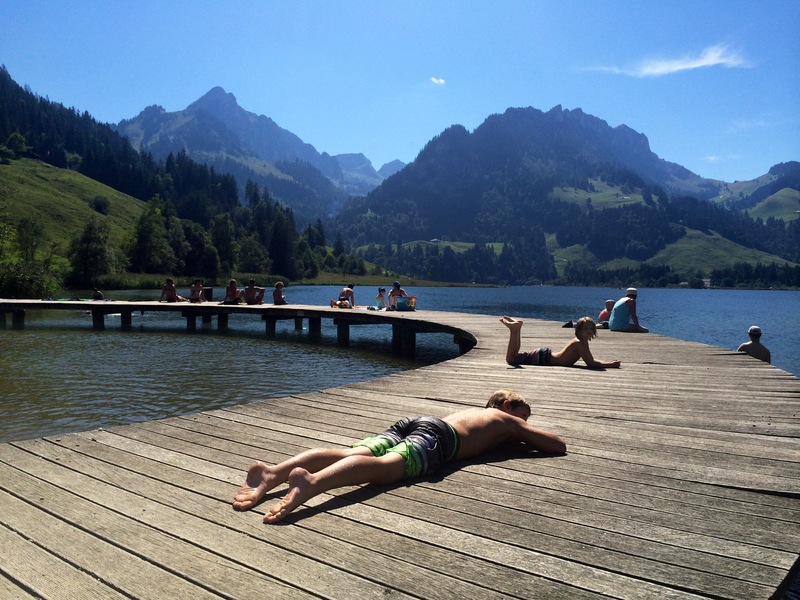 It’s no surprise to me that the Swiss have one of the highest life expectancies in the world… and I believe it’s because they really know how to truly enjoy life. 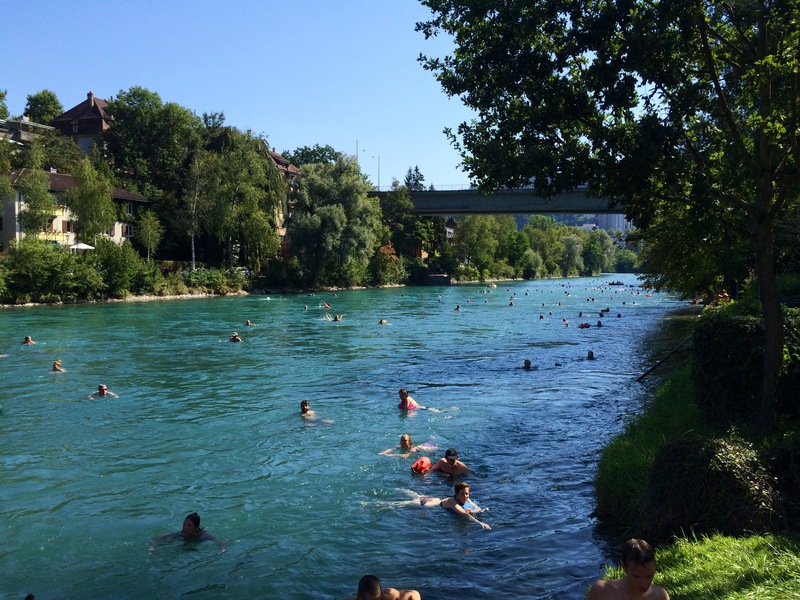 Aare you ready for some fast-moving floating? 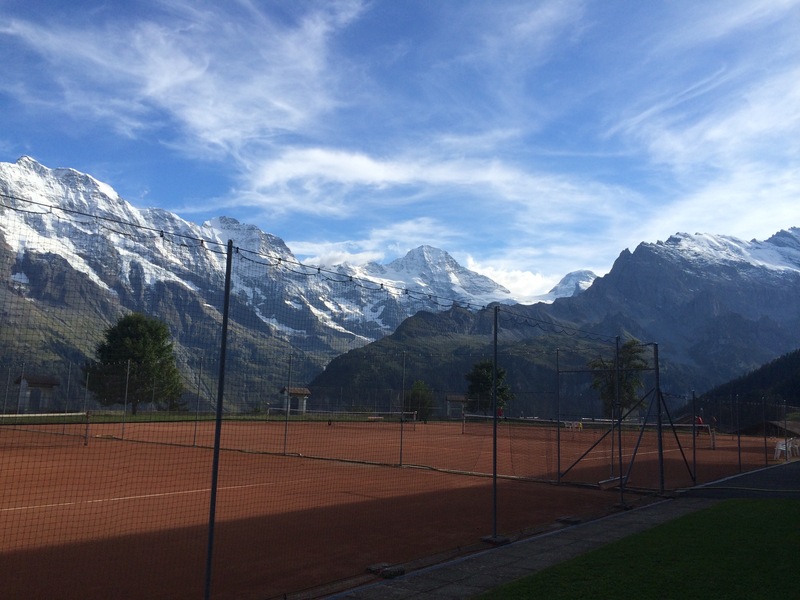 Most beautiful tennis court in the world? * Caveats/Aside: I realize being here only a month gives me little credence to paint broad strokes about a whole culture (but hey, it’s my blog); more significantly, there are obviously within-country cultural and personality differences (for more on this, see Dr. Peter J. Rentfrow’s work on the UK). 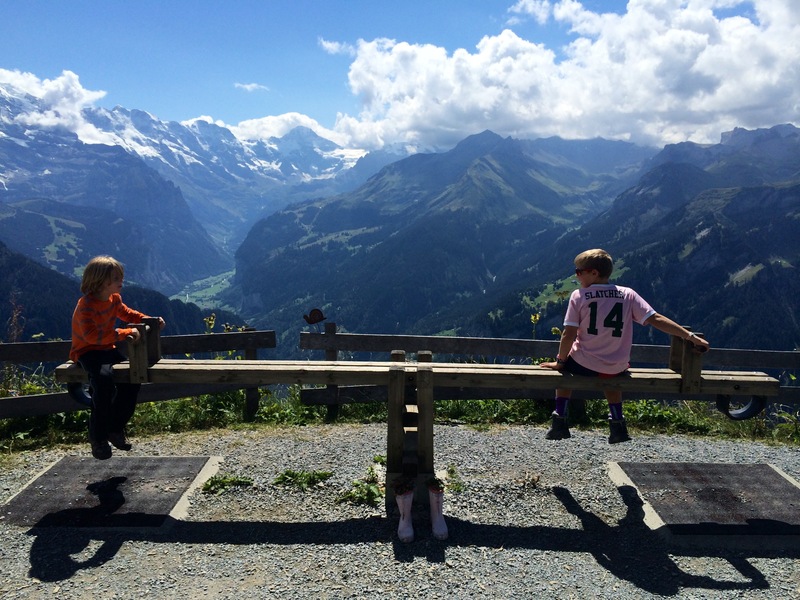 Historically, Swiss communities have remained relatively isolated from one another, due to geography (Alps!) and linguistic differences: the four official languages of Switzerland (German, French, Italian and Romansch) are for real, and while the Swiss boast far better language skills than Americans, there are still communication barriers. For example, only 20 minutes away from French-speaking Fribourg is the beautiful Swiss capital, Bern. The German-speaking Bernese communicate in English far better than in French. Wow, I GET it! This paints the pictures so vividly, I’m all but floating down the river WITH you! Thanks for sharing. Makes me wish I were there, too! !